A recent report by the Federal Trade Commission (FTC) found that over 25% of consumers’ credit reports contain errors, often leading to less favorable loan terms or denial of credit. When consumers attempt to correct those errors, the credit bureaus often ignore documentation sent by consumers that would aid in correcting errors. On September 24, 2013, U.S. Senators Amy Klobuchar (D-MN) and Mark Begich (D-AK) and Bill Nelson (D-FL) introduced legislation to help consumers correct errors on their credit reports. The bill requires credit reporting agencies forward furnishers of data actual copies of the documents and all relevant information submitted by consumers disputing an error on their credit report. The problem of credit bureaus not conducting a proper investigation is currently being addressed by the Consumer Financial Protection Bureau. But, a bill may reinforce to the credit bureaus how serious the matter is to consumers and permanently change the way credit investigations are handled through the e-Oscar method. 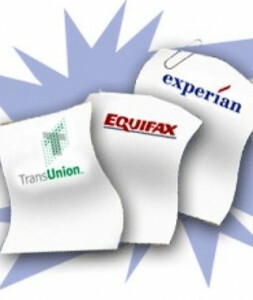 The Fair Credit Reporting Act requires credit reporting agencies to conduct reasonable investigations and provide all relevant information to the company furnishing the credit information to the credit bureaus when a consumer disputes an item in his or her credit report as inaccurate or incomplete. “If a consumer has disputed something in their credit report, the information they provide should be furnished to those who are checking up on their credit,” said U.S. Sen. Bill Nelson. The Florida Democrat, earlier this year, helped fix another consumer credit issue by getting one of the nation’s biggest lenders to stop reporting short-sales as foreclosures that are more adverse to their credit standing. The Fair Credit Reporting Act requires credit reporting agencies conduct “reasonable” investigations when a consumer disputes an item on his or her credit reporting. This legislation ensures that the requirements of the FCRA are being met by requiring that credit agencies forward actual copies of documents submitted by consumers to data furnishers.